Mobile Device Management and Enterprise Mobility Management solutions can no longer provide the adequate endpoint protection that the evolving, connected workplace requires. Because of this, businesses are looking to take the next step in endpoint management and unify their endpoint and security management within a single system. 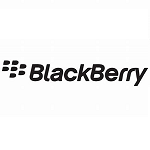 This white paper examines 10 reasons businesses should use Blackberry’s Unified Endpoint Management solution.